Since the invention of the first plastic molds, both the synthesizing of better polymers and manufacturing of better plastic injection mold machines made plastic a much better, more versatile material that could be shaped for a broader range of uses. However, there are still factors that contribute to the ease with which plastic components can be created. One of these factors is the quality and precision of the mold itself, another is how well the mold is maintained. With micro laser technology, many mold makers are now able to create, repair and maintain molds to with more attention to detail than ever before. This is especially useful for the production and maintenance of molds that have small detailing. The results that mold makers are able to attain using micro lasers can be accurate to 0.025 of an inch. This means that mold makers who use micro lasers will often be able to both repair and create molds that are much more accurate than those without a micro laser. The use of a micro laser also makes repairing slots, contours, and angles easier, and makes it possible to repair thin walls of a mold without warping them even slightly. In addition, micro laser technology can be used for mold components that are from various alloys, such as steel, aluminum, copper and titanium. Because of the exactness of the work that can be performed using a micro laser, mold makers who own such a machine can occasionally repair molds that other mold makers have been unable to. When choosing a company to work with for creating and maintaining your molds, you should look to choose a company that gives you the most benefits and can repair even the finest details on your molds. By working with a company that owns a micro laser machine, you can be certain that your mold is in good hands. When buying, the quality and precision of a mold is definitely the biggest factor to consider and shouldn’t be overlooked. While even the best plastic molds need to be maintained properly, maintenance won’t improve molds that weren’t properly designed and made with the necessary precision to start with. For this reason, buyers need to consider the quality of a mold before purchasing it. Important factors include the quality of the materials used to make the mold and the precision with which the mold itself was made. Precision is especially important for plastic molders needing more than one mold for producing a single plastic part so that all of their molds will produce identical parts. In most cases, plastic molds are designed and made according to the specific needs of every buyer. Many buyers are interested in producing plastic components with a high level of detailing, and while exact design isn’t always equally crucial, it’s better to know how precise the mold manufacturer is able to detail molds. Better molds always make for better parts. When you buy a new mold from a manufacturer, your business relationship with that company has only begun. In the future, you will most probably still be working with that same company whenever a mold breaks down and has to be sent for repairs. But for the best results, plastic molds need to be maintained properly to prevent damages that could ruin them entirely and some manufacturers will assist their clients by keeping track of molds and their due maintenance dates. 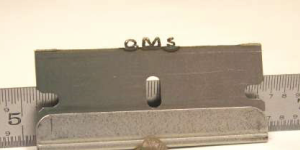 This is especially useful for plastic molders so that they’re able to know exactly when a certain mold won’t be operating rather than to wait till it breaks down, in which case a mold might be gone for weeks without any prior notice – a very harmful scenario to any plastic molder’s production of a certain part. It should be noted that plastic molds are very expensive pieces of equipment and they should be properly taken care of to prolong their longevity. No manufacturer of plastic components likes to find out that a mold is irreparable. To a company that produces plastic goods, optimally functioning plastic injection molds are the most indispensable part of creating their molded product. And despite the fact that most mold owners send molds to the manufacturer for repairs and maintenance, many mold manufacturers are completely able to help plastic molders fix broken molds even if it wasn’t made by that specific mold manufacturer. And advanced technologies might even enable certain mold manufacturers to repair molds that the original manufacturer wouldn’t have been able to. Ultimately, choosing to work with an injection mold manufacturer that’s better equipped can save you money, as they might be able to fix a mold that otherwise would’ve needed to be entirely replaced. But of course, it takes more than advances machinery to deliver good results. Professionals who are dedicated to doing good work that yields the desired results can make or break the quality a repair on a mold. At Quality Mold Shop, we’ve been building, maintaining and repairing plastic molds for many years. Our team of engineers and tool makers are highly qualified professionals, insuring that every mold we make and repair live up to our customer’s expectations.